Another week, another weekend. Let’s hope the rain stays away so that we can all go outside and play. Here’s what’s in store for the art-goers of our fair double-citied Twin Cities. Have you ever wondered what it’s like to have an art gallery on your porch? 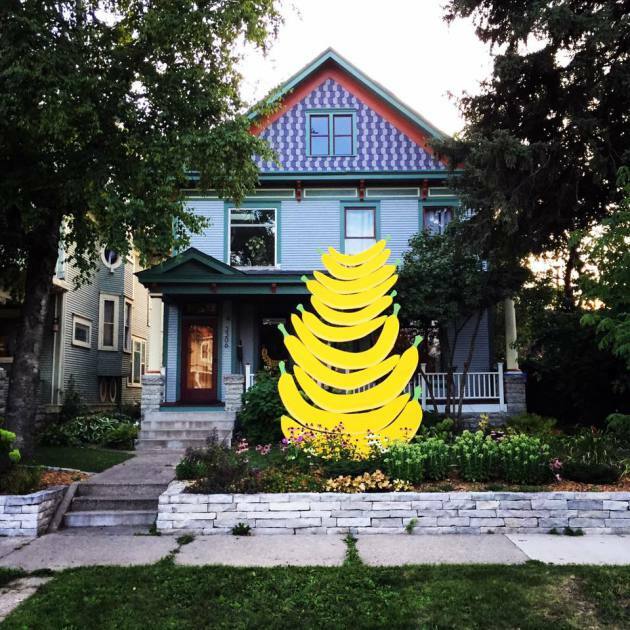 Ponder no more, and instead head over to the literal Porch Gallery, where you’ll find Daniel Jaffe’s art exhibition “Ripe,” a ceramic fruit stand filled with more bananas than humanly possible! 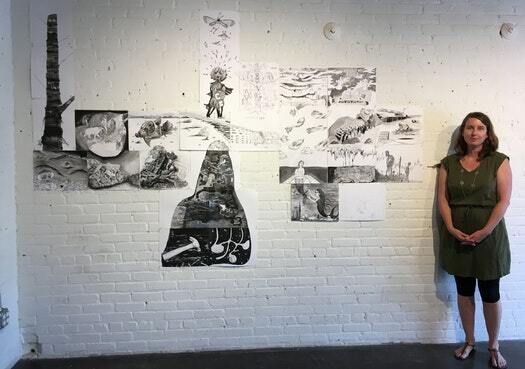 If you missed last week’s opening of Kristen Sanders’ “Soft Origin,” catch a screening of her work in a more casual outdoor setting this Saturday. Other screenings include flicks by Kevin Pontuti, Nicole Killian, Talon Gustafson, Andy Ralph, Mel Nguyen, Samual Weinberg and Material Girls. Bring something to sit on, unless you are into being on the grass. The wall was supposed to be “built” last weekend, but things changed and now the opening ceremony is taking place this weekend! In this troubling political time, artists have taken a stand. 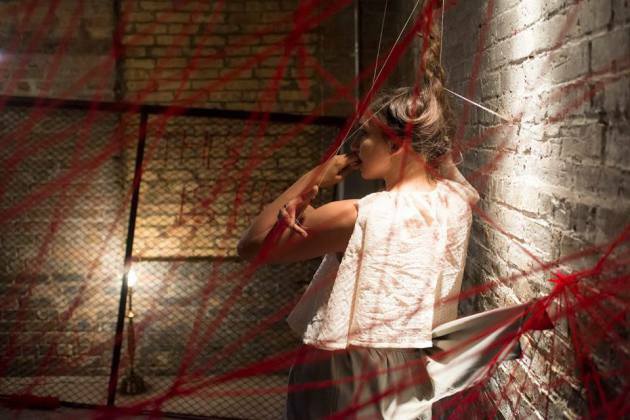 This weekend, Lamia Abukhadra and Leila Awadallah as part of Rethinking Public Spaces in collaboration with Martin Gonzalesand the Soap Factory host the opening ceremony of “The Wall,” a new installation and performance piece. This wall will be built, interacted with, and eventually broken down. What is a wall, but a divide that can also be subversively taken the f*%k down!? Join everyone for the opening this weekend, and stick around for subsequent interactions with and dismantlings of in the weeks to come. 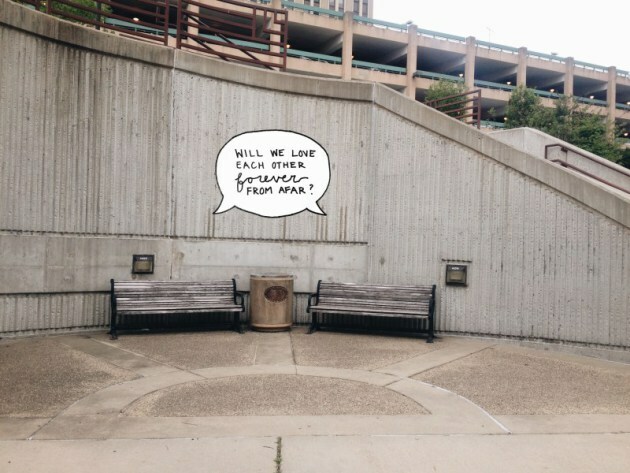 The project began at Soo Visual Arts Center in Minneapolis on July 29 and will run through Aug. 26. Soap Factory: Is Your Rebellion Sitting Still? That's all she wrote for now. Till next weekend, folks! ! ! ! ! ! !